When you have trouble spots where fat persists in spite of diet and exercise, body contouring with SculpSure® may be the best solution. 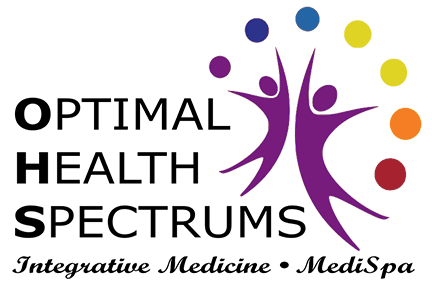 Dr. Lynne R. Mielke and Sandi Kreizenbeck, DNP, at Optimal Health Spectrums in Pleasanton, California, offer this innovative procedure that permanently eliminates pockets of fat. Don’t let resistant fat get you down. Contact the office to learn whether noninvasive treatment with SculpSure will finally give you the body shape you desire. Body contouring improves the shape of your body by eliminating areas of fat you can’t lose with diet and exercise. Body contouring isn’t intended to remove a large amount of fat all over the body, so it isn’t a weight loss procedure. However, it’s a safe and effective option when you’re at or near your healthy weight, yet you need help getting rid of stubborn fat in specific locations. The treatment can be repeated until the desired amount of fat is gone. What body areas can be treated with SculpSure? Dr. Mielke and Nurse Practitioner Sandi perform body contouring using an advanced medical device called SculpSure. Studies show that SculpSure effectively removes fat using noninvasive, light-based technology. It is FDA-cleared to dissolve fat from five areas of the body: the abdomen, flanks (sides of your abdomen), back, and inner and outer thighs, but is often used on other body areas as well. How is body contouring achieved with SculpSure? SculpSure uses lasers set at a specific wavelength that passes safely through the skin but is absorbed by fat cells. When the fat cells absorb laser energy, they’re heated to a precise temperature that essentially “cooks” them. As the fat cells break down, the body’s immune system naturally eliminates the waste, flushing them away through the lymph system over the next several weeks. Those cells are permanently destroyed, so the pocket of fat is gone for good. It is still possible for other fat cells to grow if you gain weight in the future. Why is SculpSure better than fat-freezing treatments? Compared to fat-freezing or cool laser technology, SculpSure is preferred for its safer and more natural results. In fact, doctors say that fat cells respond better to heat than cold. SculpSure produces significant results in one 25-minute session. In fat-freezing procedures, it takes 20 minutes to get to a temperature cold enough to damage fat cells, and the freezing temperature must be maintained for 40 minutes, just to produce fewer results. SculpSure produces even, gradual, and natural-looking results. SculpSure’s applicators feather out the heat to create a smooth effect. Fat-freezing techniques use suction to freeze the fat, which then needs to be massaged back into shape, which is painful and creates “shelving” or an uneven appearance. No adverse effects have been reported for SculpSure, compared to fat-freezing techniques that cause bruising and numbness. The suction and freezing temperature could possibly cause nerve damage. What can you expect during SculpSure treatment? The laser is delivered through a flathead paddle that rests comfortably on your skin just above the area of fat being treated. The laser treatment feels hot, but is tolerable for most patients -- it’s often described as causing a heating pad tingling sensation. Everyone’s sensitivity is different, so we ensure your comfort during the procedure with various options, if necessary, although most people tolerate it just fine without needing any kind of extra support. The paddle has a built-in cooling mechanism, and the laser cycles on and off to maintain the proper temperature in the fat cells to destroy them. As a result, you feel alternating cooling and warmth throughout the 25-minute procedure. Treatment with SculpSure is so gentle that you won’t need any recovery time. As soon as your session is finished, you can return to your normal routine. Research shows you can lose up to 24% of the fat under the area treated by the SculpSure laser heads in one treatment. * You’ll start to see results in six weeks, but it may take 12 weeks to see the full impact, because it takes time for all the fat cells to break down and clear away. The treatment may be repeated as many times as necessary to lose the desired amount of fat in a particular area. This used to be the only option so patients were willing to deal with the consequences and negative side effects, such as nerve damage and shelving.